You may pay by any major credit card. Just add each item desired to your cart, during checkout just choose Credit Card in the drop down menu then simply follow instructions. How do I pay by Pay-pal? Just add each item desired to your cart, during checkout just choose Pay-pal in the drop down menu then simply follow instructions. YES! See question #4 below for more information. What address should I send payment to if I want to pay by check or money order? We accept checks, Money orders and cashiers checks. All personal checks will be held until it clears our bank before shipment. If you use our cart system choose money order in the drop down menu and it will give any more information needed! Please enclose Email address, Products ordered & Mailing address along with payment. Make all checks payable to Blessed Business pursuits. Our checkout system will provide address to mail payments to. Who do I make check or M/O to? Most orders are shipped ground USPS, Not air as most regular mail thus taking longer to reach it's destination. If you need your package more quickly, Choose a faster shipping service at check out. WE CANNOT EVER GUARANTEE A DELIVERY DATE! Once a package leaves our hands we can never make a guarantee on a delivery date. Do different colors of fuse burn different? Not in American fuse colors, they all burn the same. Although we offer numerous colors and burn rates of fuses. Burn rates can be found by clicking on each product ID. We accept no returns unless product is faulty. If product is faulty we have a 30 day replacement. WARRANTIES ARE VOID FOR ALL ORDERS PLACED OUT OF THE US AND THIS IS AGREED UPON PURCHASE. 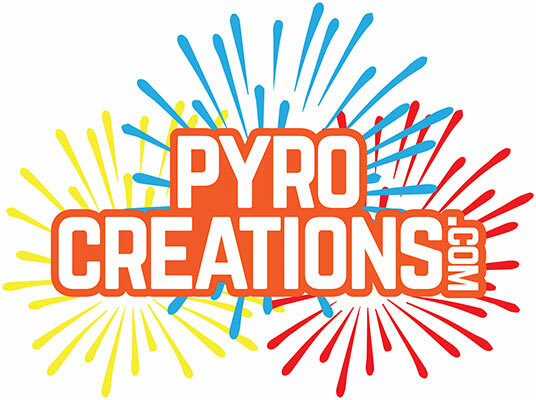 If you have any questions regarding our products please feel free to Email us at sales@pyrocreations.com. If you don't want the product please do not order it. Packaging and shipping these orders take time. So please do not ask for a refund unless product is not as listed or faulty. Otherwise it is much faster and easier for you to use our cart system for any method of payments. I would like tracking # For my order. Tracking #s are automatically added to your order at no cost to you and you will receive your tracking # Via email as soon as package is prepared. This is done with EVERY order. How do you count so many tubes and plugs? We do not count every tube and plug that goes out. We use a very accurate digital scale to weigh depending on each quantity. You may be 1 or 2 over or under but we usually will weigh a little over to insure you get what you pay for. We normally will ship all orders within 2 working days of receiving payment “with may-June as exception”. If you need your package to arrive quickly, choose a faster shipping service at check out. FUSE, chemicals and novelty fireworks can go parcel post ONLY! We ship all fuse, novelty fireworks and chemical orders Via USPS parcel post ONLY per USPS regulations NO EXCEPTIONS! These items cannot be shipped air. We use UPS also for shipping our orders. You can choose the best shipping method that best suits your needs. Yes! We can ship any of our products out of the us except our fuse items and novelty fireworks. If you live out f the US and would like to order from us just PLEASE do not try to order fuse or novelty fireworks. Our cart system will calculate shipping for you. Please under no circumstances no one under 18 years of age can order from our site. By purchasing our products you testify you are 18 years of age or older. If you are under 18 get your parents permission and get them to order for you. Are novelty fireworks legal in my state? I have no clue. There is no way I can list all the laws for each and every state. Please visit www.fireworksafety.com/laws.htm and you can view the laws for your state there. I need a receipt for my order. All receipts are included in the box with every order. We also email a copy once an order is complete.